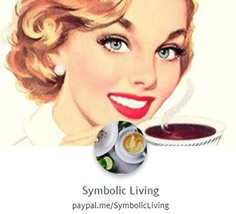 We're now placing a new simple dynamic blog layout for our front page on SymbolicLiving.com to help maintain fresh, regularly updated content for site visitors. This will allow us to provide more frequently updated content of interest to our readers with photo's, collections and related material. This is a Test Project by Symbolic Living.